What is an SEO site audit and do you need one? November 30, 2018 Eli Comments Off on What is an SEO site audit and do you need one? I was once talking to an entrepreneur about the SEO performance on his site, and I suggested that he might want to get an SEO site audit to make sure that all of his bases are covered when it comes to SEO. He immediately rejected that idea since as he said “we already have Moz, so we are good.” The fact that he didn’t get the distinction between a tool and an audit made me realize that a lot of people probably are equally unaware. While Moz, as well as other great tools like Ahrefs, SEMrush, and Searchmetrics are all great tools for reporting out on progress, they don’t do a deep dive sanity check on best practices that is individualized for every site. A better way of understanding this is to use a health analogy. Using a basic wearable device like a Fibit that keeps on top of some common health stats like activity, heart rate and sleep is no substitute at all for a full physical checkup by a medical professional. Much like this example, a daily stat tracker like the tools above might be able to report on some activity metrics, but they will not catch the impending sitewide “heart attack” that creeping URL changes or misconfigured canonical links could cause. Even worse, when a site is experiencing an organic issue the last thing anyone should do is rely on a status report from a tool to identify any maladies, much like no one should rely on WebMD for a diagnosis. This is the time to have an experienced professional have a look at the site and conduct an audit to find out what ails the site. What does a website audit look for? There are basic templates for a website audit which any experienced search engine optimization professional will use to start; however, once they start digging into the metrics they will diverge into an individualized audit. Just like when someone visits a doctor, they want someone with lots of experience and an innate sense of the questions to ask, the same should apply for an SEO audit. 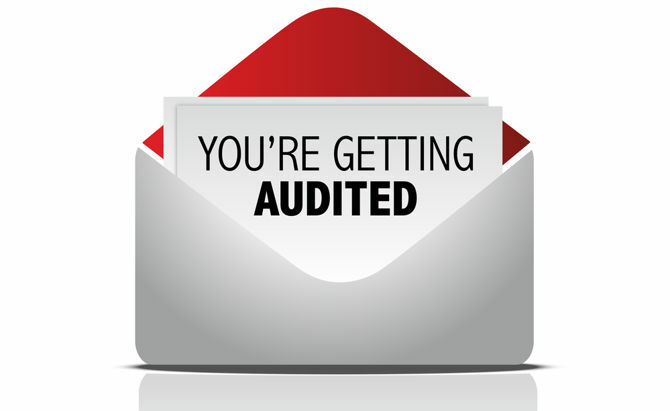 The more experienced the person or team conducting the audit may be, the more they will be able to tell when things are off and where to look deeper. Duplicate content and canonical usage – There is no such thing as a duplicate content penalty; however, duplicate content issues cause Google to have to make a decision about which URL to index. This may not be the desired URL, so canonicals can help declare the preferred URL. Improper usages of canonicals can be very detrimental to the site. Indexation – in my opinion this is the most important part of any audit. This is where the auditor will determine if the site is properly indexed in search and what may be holding it back. Keyword usage – Keywords are the bulwark of any SEO campaign and mapping their usage their usage helps to determine gaps and opportunities. Onpage SEO (titles, descriptions, H1) – These are the basics of any effort and it is always surprising to me how many opportunities can be uncovered by just looking at title tags. Content quality – SEO is driven by content, but poor content can actually be harmful. An outsider’s view of the content can assess the quality of the content portfolio. Robots.txt – this is the directive to search engines on what pages of the site can be crawled. Overdoing it will lead to important pages that can’t get traffic while underdoing it will lead to pages that are useless being crawled. Sitemaps – XML and HTML sitemaps are both helpful and necessary for page discovery, and this analysis will measure the effectiveness of the current setup. Expired content – Not all content should be exposed to search engines and users especially content or product that are no longer relevant. How these pages are handled can have a significant impact on a site. Spam – even the most authoritative and secure websites have had issues with spam on the site. While this likely will not lead to a search performance issue it is certainly not a good user experience. Schema markup – In a world of voice assistants and position zero rankings, schema markup is increasingly more important. An analysis of current markup as well as available markup will lead to new opportunities for growth. Mobile vs desktop – Search experiences are completely different on mobile devices so there should be no surprise that mobile SEO can be different to. This analysis reveals those differences. International – An international audit can be a stand alone audit since depending on how many countries are targeted this can be a very broad exercise. This audit will assess all of the areas above, but by specific country. Whether you decide to hire an expert or conduct your own audit, always make sure you are taking a deep look at all of the most important issues and not just relying on the quick health checkup of a tool.